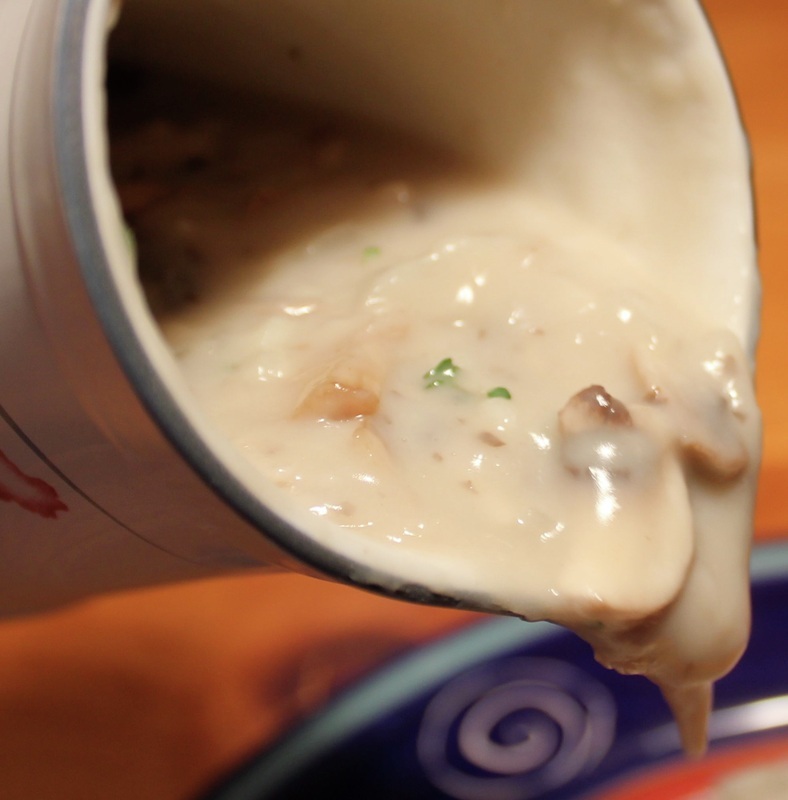 Rich, creamy homemade gravy, serve it over baked chicken meat, pork, or potatoes. Pre-measure flour, chicken broth, and the milk. When butter is melted whisk in flour. When flour and butter are fully mixed, slowly add milk and chicken broth whisking until smooth. Add onion, garlic, and thyme mixing well. Add mushrooms and stir until they are coked and the sauce is thickened.